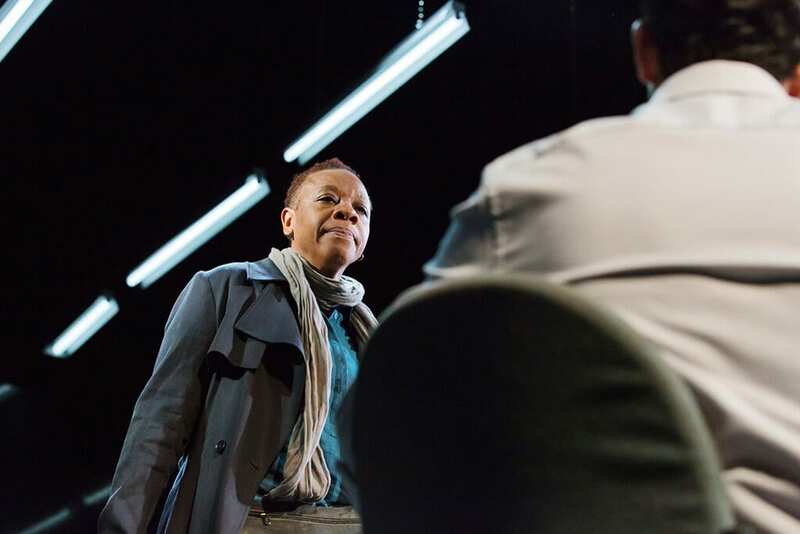 Debbie Tucker Green’s tense and ruthless new play hang is a study of motherhood, the human desire for revenge, the justice system and capital punishment. It’s as enigmatic as it is gripping. Marianne Jean-Baptiste stars, playing a character referred to in the playscript simply as ‘Three’. She walks into a sparse room with flickering overhead lights and begins to talk to justice officials about a crime, its aftermath and ‘Him’, the perpetrator. What might be a tale of rehabilitation or restorative justice quickly reveals itself as something trickier. 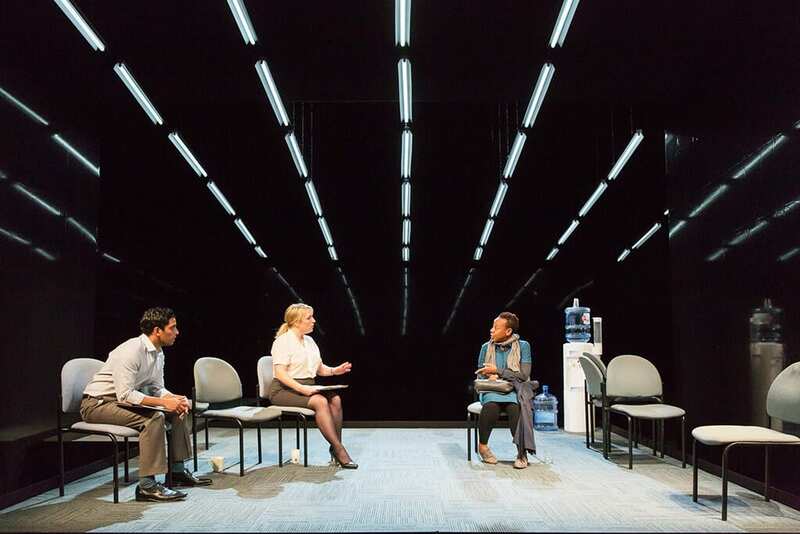 The black room in which the play takes place is an office of a corporation that tackles the paperwork and practicalities of capital punishment. The time of this not-quite-dystopian drama is ‘nearly now’ and the grey area of the death penalty looks like justice in some moments and dangerously like revenge in others. 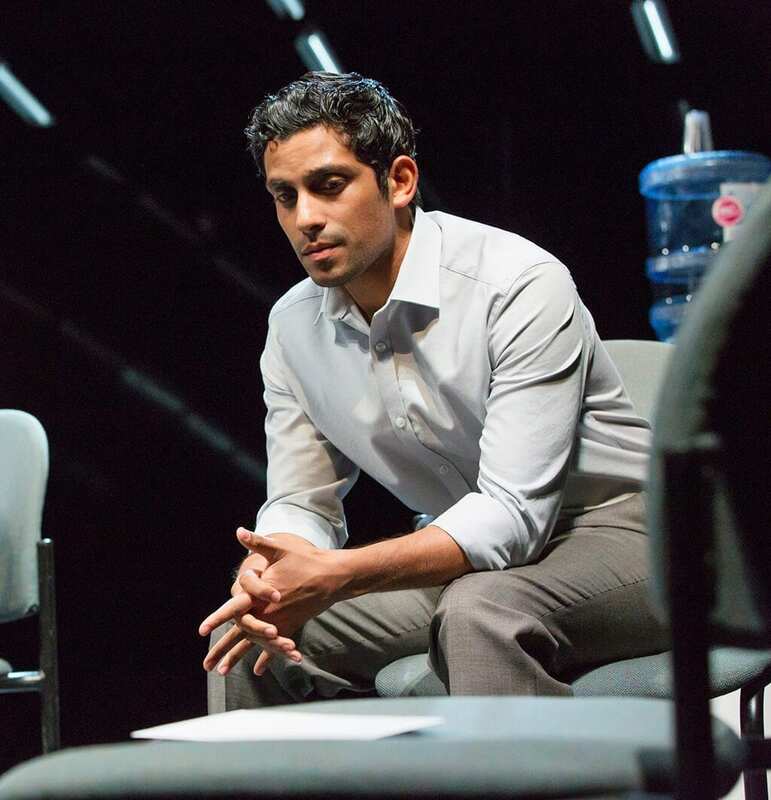 Claire Rushbrook and Shane Zaza play ‘One’ and ‘Two’, rigorously trained impartial advisors drafted in to hear Three’s decision and get it down in writing. Their detached, brisk bureaucracy knocks awkwardly against the victim’s emotion, still so raw three years after the crime. They tie themselves up in knots of protocol and pussyfoot around the unspeakable until cracks of compassion start to show on the shiny surface of their corporate distance. Two (Zaza) blunders about jollily, making us laugh and cringe, while One (Rushbrook), herself a mother, squirms against the rules that stop her from really comforting Three. Marianne Jean-Baptiste is staggering, playing the wronged and complex Three with delicacy. 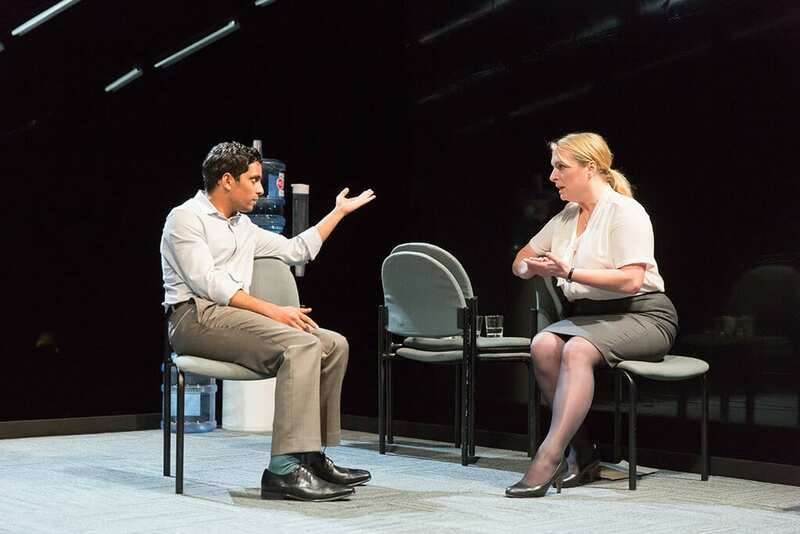 The character’s nervous shake is barely noticeable, giving the character an air of control and strength rather than fragility, and her demeanour is spot on. She’s like a terrier that’s been wounded in a previous spat but finds itself in another dogfight – hurt, scared and guarded but snappy and out for blood. The performances in this focused and unflinching three-hander are outstanding and matched by Tucker Green’s script. hang is incredibly well written, capturing the poetry and awkward, fractured, overlapping reality of speech while also embracing silence. 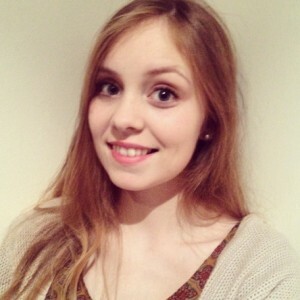 Tucker Green’s is a very exciting writer but her (lack of) plot is less thrilling. The vagueness surrounding the crime in question draws her audience in but soon becomes frustrating, our ignorance of the back story so crucial to the piece stopping us from really connecting with Three. But that’s exactly the point. Tucker Green’s subtle critique of the justice system’s treatment of victims locks us out: we must stand awkwardly with One and Two, unable to understand or even imagine, and watch one broken woman grapple with the choice that is both impossible and disturbingly simple.